Alice’s Bookshop is a traditional, slow-bookshop, established in 1986. For 30 years we have bought and sold books of merit. Alice’s Bookshop is a general secondhand bookshop, with approximately 18,000 books housed in four rooms on the ground floor. While we stock books on most subjects, there is a strong emphasis on literature, music, the arts, history, philosophy, psychology, gardening and children’s books. We also have a fine collection of first edition literature, signed, and antiquarian books. Browsers, thinkers, readers, dreamers – all are welcome. 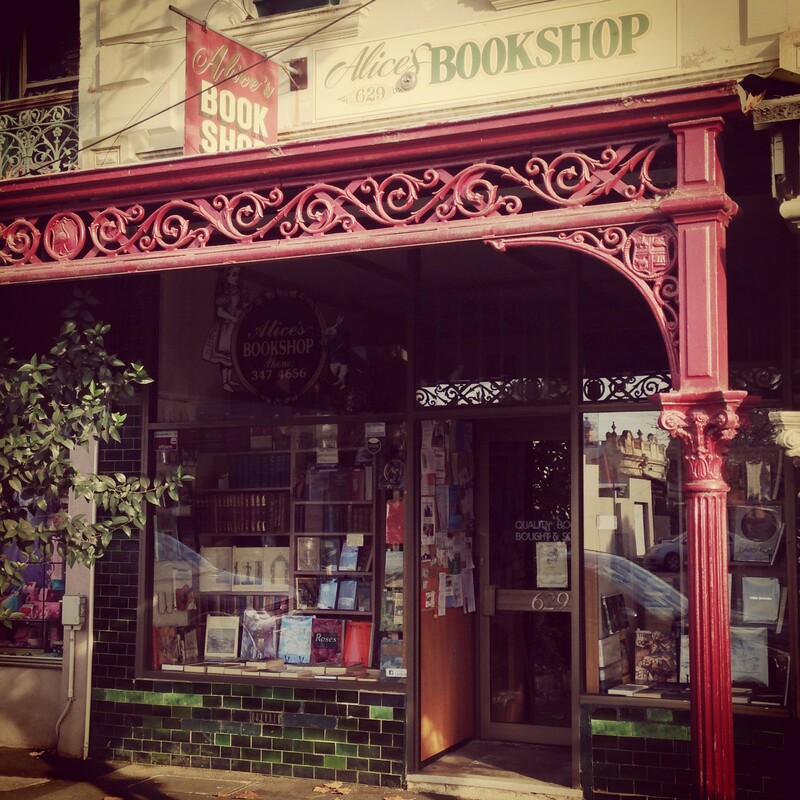 Location: Alice’s Bookshop is located about 3km north of Melbourne city centre. It forms part of the charming Rathdowne Village, with its excellent cafés, restaurants, and boutique gift shops. There is ample free parking near the shop (restrictions apply). Visitors arriving by foot, by bicycle or by public transport are particularly treasured. By appointment only. Please call or email us to see if we are buying, and, if so, what we are presently looking for. We accept most books, in readable condition, most of the time. Textbooks and computer books excluded. 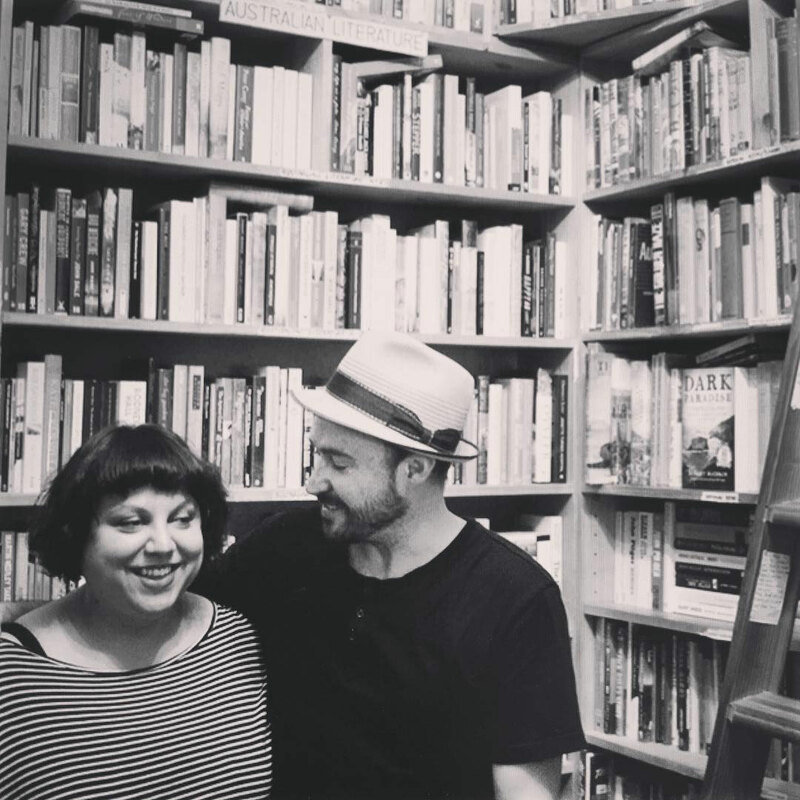 Luke Terbutt and Selina Braine are the new owners of Alice’s Bookshop, having taken over from Ellen and Joshua Boyd Green since June 2015. Luke has been a bookseller for over 20 years. He is considered, by many, to be both an advocate and example for the collecting and hoarding of books. Amid the digitisation of everyday life, he is a firm believer in the longevity of reading on the printed page. Selina is an Artist, secondary school Art and Design Teacher, and bookseller. She is interested strongly in visual culture, cooking, and gardening. Her attention to detail and creative flair can be found in all the pretty nooks of Alice’s. Colporteurs, chapmen, traffickers and fossickers they are proud to be assuming the mantle at Alice’s.